Digital asset management is a business process for organizing, storing and retrieving rich media and managing digital rights and permissions. Rich media assets include photos, music, videos, animations, podcasts and other multimedia content. Digital Asset Management (DAM) solutions have a measurable impact on businesses and are flexible enough to meet a variety of technical requirements and business needs. Why invest in a DAM solution? 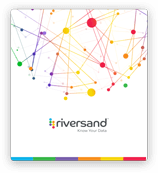 Riversand’s Digital Asset Management software integrates seamlessly with Riversand MDM and PIM platforms to help businesses organize, track and manage their digital assets. Businesses that implement DAM solutions see many benefits including improved brand consistency, reduced content production costs, greater insight into customer engagement and shorter go-to-markets. High-scale, enterprise grade solution connects to existing creative workflows, making it easy for distributed teams to make use of high-value content. Intuitive user interface designed to enable seamless collaboration and limit unnecessary manual workflow. Launch new promotions quickly and test the effectiveness of multiple campaigns at scale. Bring products to market faster with easy access to digital assets. Maintain brand consistency by having all users work from centralized hub. Businesses can use DAM analytics to get insight into their most impactful content, enabling them to continue to get smarter about delivering content experiences that delight their customers. Riversand’s Digital Asset Management (DAM) module seamlessly integrates with Riversand’s MDM and PIM solution to provide end-to-end visibility into the digital supply chain. Distributed teams can access documents and other digital assets associated with the product directly from the PIM system, ensuring that your most engaging and impactful assets are accessible to all. Riversand’s DAM Analytics enable marketers and customer experience pros to accurately measure the impact of content-driven experiences and increase customer engagement over time by delivering more of the content they love. With easy access to product content, businesses can significantly reduce the time-to-market for all promotional activities, new product introductions and changes to assortment mix.